Catholic Charities of Southeast Michigan (CCSEM) is working to address the Opioid crisis through a marketing partnership involving former players in the NFL. 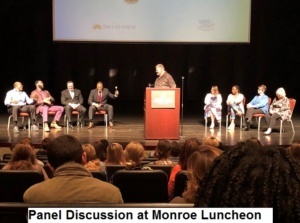 In April, Catholic Charities Monroe office benefitted from proceeds raised at a luncheon event at Monroe Community College campus sponsored by NFL Alumni Detroit and the Sports Marketing Agency. Catholic Charities offers substance abuse treatment for all types of addiction through its Behavioral Health Counseling ministry at seven offices throughout southeast Michigan. CCSEM and the Sports Marketing Agency plan on working together to continue to bring awareness to the communities served by CCSEM. Stay tuned. More news to come!